Find out which neighborhoods are most at risk. If you’ve ridden the New York City subway lately, chances are you’ve seen posters promising relief from the city’s soaring housing costs. Featuring smiling tenants with names like Catalina, Evelio and Estella, the ads hold out the promise of a rent freeze if you live in one of the more than 800,000 apartments in the city subject to limits on annual rent increases. Newly released data shows ZIP codes where rents could suddenly jump for rent-stabilized apartments. See the map. Those limits are a big deal right now. The body that sets them — the city’s Rent Guidelines Board — will decide on June 27 how much owners will be able to legally increase rents in the city’s “rent-stabilized” apartments. During each of the last two years, the board has voted to freeze rents on one-year lease renewals. But for renters who occupy about 31 percent of the city’s rent-stabilized apartments, the board’s freeze does not protect them from big rent increases. That’s because of a provision in the law that allows landlords to charge some tenants more than the city-set limits allow. And now, for the first time, we know which neighborhoods are most at risk of seeing rents soar: Preferential rents are often concentrated in the poorest areas of the city. At issue is a 2003 law that allows owners to ignore the annual limits imposed by the Rent Guidelines Board as long as they charge less than the maximum rent they’re legally entitled to collect. Under New York rent laws, there’s a limit on how much can be charged for the city’s approximately 840,000 rent-stabilized apartments. Sometimes, landlords offer a discount below that price, which is known as a “preferential” rent. That discount helps renters in the short run. But it leaves them vulnerable to sharp rent increases in subsequent years. The 2003 law allows owners to raise preferential rents to any amount up to the legal maximum whenever a tenant’s lease comes up for renewal. As ProPublica explained in an April story, this arrangement puts many tenants at risk of sudden displacement or even homelessness if they can’t afford a sudden increase in their preferential rent. Others may find themselves paying more than they should if the owner incorrectly calculates the maximum “legal” rent, as many do. 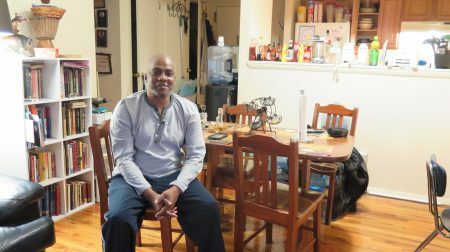 One Brooklyn family profiled in the April story had to move when their landlord raised their preferential rent by $571 per month to the legal maximum. Where else are tenants at risk of being displaced by similar rent hikes? Newly available data shows that six of the ten New York City ZIP codes with the most preferential rents are located in the Bronx — long home to some of the city’s poorest residents. Poverty rates in these Bronx ZIP codes range between 30 and 43 percent, indicating many tenants who have little ability to afford a big rent hike. Even in areas with fewer preferential rents, the overlap with poverty can be striking. In South Bronx’s Mott Haven, for example — where around 48 percent of residents live below the poverty line — about 43 percent of rent-stabilized apartments are charged preferential rents, the data shows. The distribution of preferential rents across New York City was a mystery until now because the state’s Division of Housing and Community Renewal, which tracks prices in rent-stabilized apartments, is barred from releasing the information to anyone except the tenant or the owner. ProPublica obtained the data after the city’s Rent Guidelines Board asked the agency to disclose aggregate data by ZIP code. “I think it sends a really clear picture to me that we are in a housing crisis and rent-stabilized housing isn’t as stable as we think it is,” said Sheila Garcia, one of two tenant representatives on the board. The board’s two landlord representatives did not respond to a request for comment. To get a better understanding of where preferential rents are most common, ProPublica mapped out the data by ZIP code. We also added related information such as the percentage of residents who live under the federal poverty line, based on the latest American Community Survey data. Preferential rents help tenants by giving them a break on their rent today. But as neighborhoods become more desirable, a big gap between the preferential and legal rent can give an owner the ability to raise rents sharply once the market moves higher. 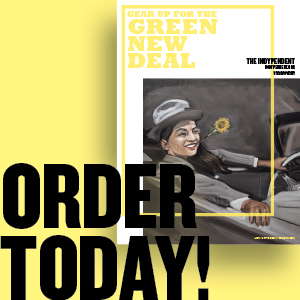 “It’s a time bomb of gentrification, stripping rent-regulated tenants of the exact protection they need,” said Benjamin Dulchin, executive director of the Association for Neighborhood and Housing Development, which represents affordable housing groups. “There is a very limited ability to increase preferential rents because they are market rents. And why should only preferential rent tenants be asked to pay for ever increasing real estate taxes and not the lucky 70 percent who pay below-market rents?” the group said in an emailed statement. One 93-unit apartment building in Bronx’s Kingsbridge neighborhood recently sold for $20 million after being advertised with scores of preferential rents that could be raised; one unit featured a predicted increase of $734 in the preferential rent once the lease expires in August. Download the data about preferential rents in New York City from the ProPublica Data Store. For the Bronx’s poorer residents, dealing with the consequences isn’t easy. 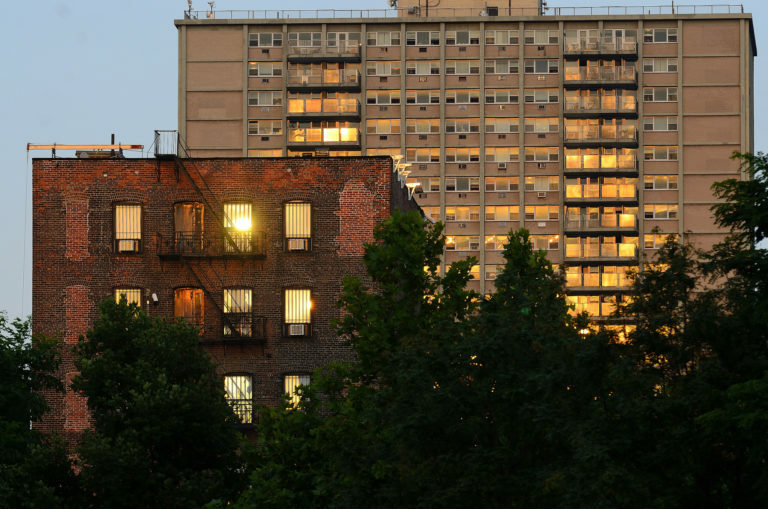 In ZIP code 10458, which includes the heart of Bronx’s Bedford Park neighborhood, the poverty rate is 38 percent and almost 30 percent of the area’s rent-stabilized apartments feature preferential rents. “In a community like ours, where people do not know their rights and are living right on the line, it doesn’t take much to disrupt your life,” said Dunford, executive director of the West Bronx Housing and Neighborhood Resource Center. What if your landlord said you can’t tell anyone how much rent you pay — and if you do, he’ll raise it by hundreds or even thousands of dollars? If that sounds too fanciful to be true, it’s not. Some New Yorkers who pay preferential rents are finding that language in their lease. The language is an example of the legally questionable lease clauses that some owners employ when tenants agree to pay preferential rents. Because the prospect of a higher “legal” rent is included on the lease, some landlords use it as an opportunity to ask tenants to agree to instant rent hikes if they do something the owner doesn’t like. Some owners say they’ll revoke the preferential rent and charge the full legal amount if tenants are late with their payments, or if they have to take the tenant to court. Others even forbid tenants from simply disclosing their preferential rent to anyone — a problematic proposition in case the tenant wishes to challenge the legality of their rent. 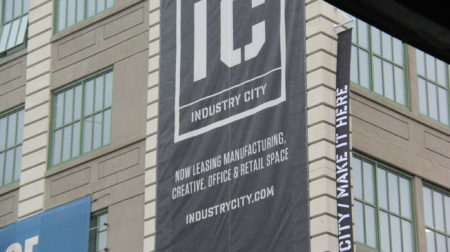 “You will not discuss the preferential rent with anyone else unless you have owner’s written consent,” demands one lease issued by Rockrose Development, a prominent New York City real estate owner and developer. As “consequences of your breach,” the company warns, “the rent will revert retroactively” to the legal maximum. 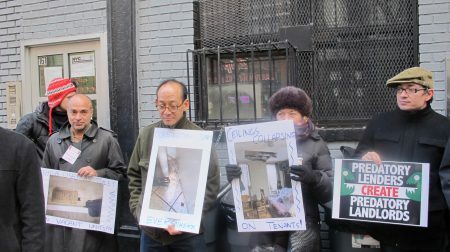 Threatening to raise a tenant’s rent for simply talking about their rent is “crazy,” said Ellen Davidson, a staff attorney at the Legal Aid Society, which helps low-income renters. “Any court or administrative agency that considered this provision would find it to be invalid,” she said. 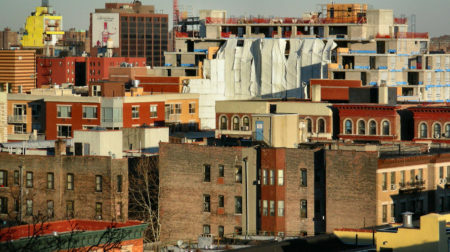 The state’s Division of Housing and Community Renewal says in a fact sheet that it does not allow owners to condition receipt of preferential rent “upon the performance of an act by the tenant.” A spokeswoman stopped short of saying the clause is illegal but hinted in a statement that the agency would look dubiously upon such lease language. If you’re elderly or disabled, you may be eligible for an even longer rent freeze than the recent one-year zero percent increases mandated by the Rent Guidelines Board. But if you pay a preferential rent, you may not benefit much — if at all. The permanent rent freeze is available under a city-run program called NYC Rent Freeze. Here’s how it works. If you’re elderly or disabled, you can apply to have the city pay your landlord any future increases in your rent in the form of a tax break. The idea is to give stability to the city’s neediest residents while allowing their landlords to collect an increase — courtesy of taxpayers. Read data memos from the NYC Rent Guidelines Board. About 69,000 senior and disabled residents have their rent frozen under the program, which had its beginnings in the 1970s and today costs about $169 million a year in uncollected tax revenues. Participants must live in a rent-stabilized apartment and make $50,000 or less, among other criteria. Because participation rates have been historically low — only about 39 percent of eligible residents take advantage of the program — the city’s making a big push to get the word out about NYC Rent Freeze and enroll elderly and disabled tenants. 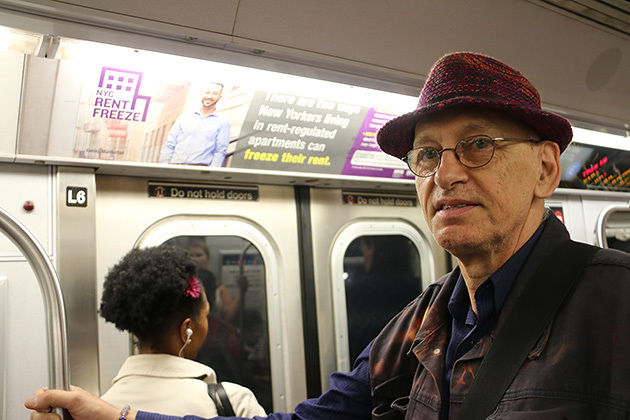 But there’s a catch, which isn’t explained in any of the city’s subway ads advertising the program: The freeze applies to legal maximum rents claimed by landlords. With few exceptions, tenants can’t get their lower preferential rents frozen. This discourages some eligible residents from applying. Aged 72, retired and subsisting on food stamps and $2,123 in monthly Social Security benefits, Eva Tucholka of Harlem applied in hopes of freezing her $2,126-per-month preferential rent. But she ended up not even bothering to complete the application when she learned the “freeze” would apply to her legal rent, which is $2,251. “I don’t really know what to do,” said Tucholka, who just got a one-year renewal lease offer that increases her preferential rent to $2,195 per month starting in July. Others who do apply and get approved may see their rent go up anyway. Gabriel Levicky of the Bronx, 68, lives just down the street from the building that recently sold for $20 million. He applied and was approved in February 2016 to have his rent frozen at the legal rate of $1,653 per month. But because the freeze didn’t apply to a lower preferential rent that he was actually paying, when his lease came up for renewal later that year, his landlord raised the preferential rent by $175 per month for a two-year term. “This recent rent increase is rather steep and tough. Please reconsider and recalculate it,” Levicky wrote to his landlord, K.S. Realty. K.S. Realty did not respond to requests for comment. The company made life a bit easier for Levicky by subtracting from his rent a portion of the tax break it was receiving from the city to freeze his legal rent. But the city’s Department of Finance said program rules do not require landlords to do so. ProPublica found that some owners simply keep the rent freeze tax benefit and raise the tenant’s preferential rent anyway. A bill was introduced in the state Assembly last year to enable tenants paying preferential rents to benefit from the program, but it didn’t go anywhere in the Democratic-controlled chamber. Its prospects are even dimmer in the Republican-led Senate, where GOP lawmakers historically aligned with the real estate lobby do not let pro-tenant bills come to the floor for a vote. What should you do if you’re unsure about the legality of your rent? Your best bet is to request a rent history from the state’s Division of Housing and Community Renewal (you can learn how to do so here) and reach out to a local community group such as CASA in the Southwest Bronx or PALANTE in Harlem to review your rent history and learn about your legal options. ProPublica also put together an FAQ about rent stabilization with additional resources. Ken Schwencke and Marcelo Rochabrun contributed reporting to this story. This article originally appeared at propublica.org.